The Eastern Himalaya region covers a geographical area that spans five nations and has diverse landscapes, a multitude of ethnic groups and a rich variety of flora and fauna. The region is relatively poor in terms of GDP and per capita income; industrialisation and infrastructure is under-developed; climate-induced disasters are frequent; and maternal and infant mortality rates are high. Economic constraints combined with restrictive cultural norms create barriers for women in education, employment and decision-making, thus further entrenching unequal gender relations. 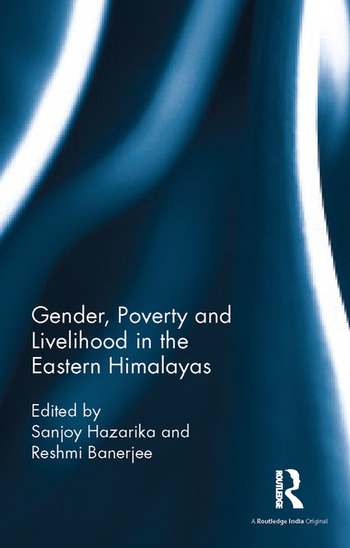 This book explores the ways in which gender-sensitive and inclusive policies can be developed to address the basic issues of marginalisation, livelihood, poverty and vulnerability in the Eastern Himalayas. The chapters in the volume touch upon current concerns, such as the economic and social challenges faced by women, their control over resources, questions of patriarchy, discrimination, gender rights and equity, information, empowerment and participation, and women as agents of change. This volume will be useful to researchers and scholars in gender studies, sociology and social anthropology, development studies, economic and human geography, politics, northeast and Himalayan studies, South Asian studies, as well as policymakers and those in the development sector and non-governmental organisations. Sanjoy Hazarika is the Director of the Commonwealth Human Rights Initiative (CHRI) and was the founder of the Centre for North East Studies and Policy Research, Jamia Millia Islamia, New Delhi, India. Reshmi Banerjee is Academic Visitor at the Asian Studies Centre (Programme on Modern Burmese Studies), St Antony’s College, University of Oxford, UK.